Pittsburgh, Pennsylvania-based L.B. Foster Company (NASDAQ: FSTR) and the Nagory Family of Kanpur, India announced today the formation of Nagory Foster, a joint venture for the distribution of rail products and services to the Indian passenger and freight rail markets. Nagory Foster will begin operations in January 2013 with an offering of L.B. 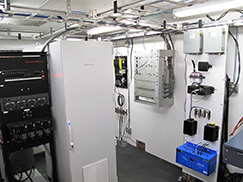 Foster IntelliTrack® remote monitoring devices and systems and later expand to include additional L.B. Foster rail products. “This exciting joint venture is an important step in L.B. Foster’s expansion strategy to position our company for growth in the rail markets of India, Pakistan and Bangladesh,” noted Robert Bauer, L.B. Foster President and CEO. 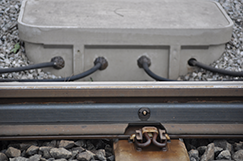 The new JV combines the innovative rail technologies of L.B. Foster’s Salient Systems business with the market-leading reputation for quality rail products and services established by the Nagory Family. “The joint venture will build on the foundations of its partners to become a leading supplier of quality rail technology products to regional railways,” said Ankit Nagory. 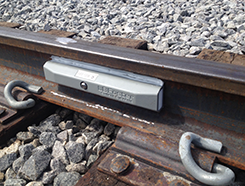 Nagory Foster will distribute Salient Systems’ Rail Stress Module and WILD wayside systems, providing the most advanced remote monitoring for rail stress, rail temperature and wheel impact load detection. Salient Systems is the leading innovator in real-time failure mode detection for the rail industry.